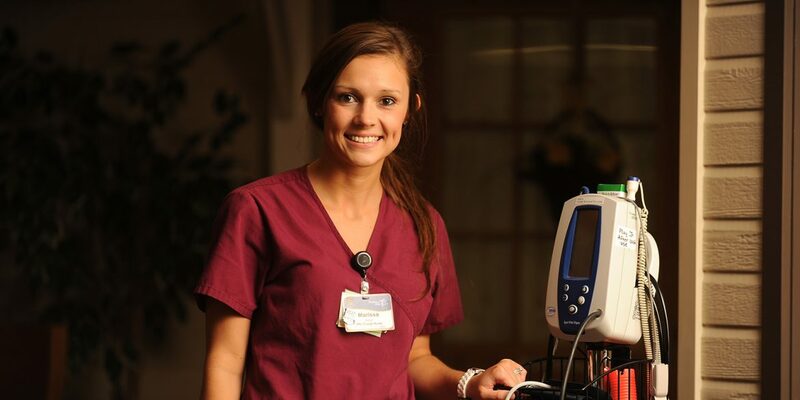 Hesston College Nursing offers a four-year Bachelor of Science in Nursing program (BSN) and a post-licensure program for RNs. This RN-BSN curriculum prepares the baccalaureate nurse as a generalist, equipped to care for individuals, families, communities and populations across the lifespan at any point on the wellness-illness continuum and across the continuum of health care environments. The program also provides a foundation upon which graduates can build to continue their formal education and skill development within the nursing profession. In living out our mission, faculty are committed to you and your education. They are available to work with you individually, helping you to achieve your educational goals and to nurture your spiritual, cultural and interpersonal growth. Hesston College admits RN-BSN applicants once a year beginning with the spring semester. Individuals desiring priority consideration for acceptance should submit all admission materials as soon as possible. Late applications will be accepted only on a space available basis. The Nursing Admissions Committee selects students from applicants who meet the requirements listed below. Program costs do not include books, additional course fees, housing, meals, student health insurance or transportation. Additional Liberal Education & Support Courses are also available for RN to BSN students at a reduced cost ($395 per credit hour). At Hesston College, we strive to make a college education affordable for every student – 98 percent of the student population receives some form of financial aid. Due to the reduced credit hour cost for students in the RN to BSN program, institutional financial aid is not available. Federal and state aid is awarded based on need, which is determined by completing the FAFSA at fafsa.gov. For Kansas residents, the FAFSA should be received at the processing center by April 1, which is the deadline for Kansas grants and scholarships. Applicants are encouraged to inquire at their place of employment for possible tuition reimbursement benefits. Two courses from two separate areas/disciplines. Check with your admissions counselor for a list of acceptable Humanities courses. Completion of a minimum of 125 semester hours of college course work, including 60 hours of required liberal education and support courses. Satisfactory completion of the RN-BSN program of study which includes 30 semester hours of upper-division nursing course work. 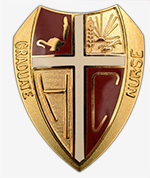 Grades of “C” or above must be achieved in each nursing course. “Advanced Standing” for 35 credit hours. Advanced Standing credit is granted to licensed applicants (RNs) for previous nursing course work completed at an accredited associate degree or diploma nursing program. These credits are awarded based upon the nursing program transcript analysis, alignment with the Kansas Articulation Plan for academic progression, evidence of RN licensure and, if available, a review of a nursing program portfolio. Candidates who meet the advanced standing criteria and have successfully completed 15 hours of RN-BSN Hesston College nursing course work will be eligible to receive “Advanced Standing” credit, to be recorded on the Hesston College transcript. The RN-BSN program is offered via a hybrid delivery system. One-third of each course is offered in the classroom; the remaining two-thirds is delivered online through our learning management system (Moodle). Students attend classes on campus two days a month (9 a.m. to 4 p.m.). In order to be admitted to Hesston College Nursing RN-BSN, an applicant must be a graduate of an associate degree or diploma nursing program that holds specialized nursing accreditation and have an unencumbered license to practice professional nursing in the United States. All information must be submitted to the Hesston College Admissions Office. Complete and submit the Hesston College RN to BSN Program Application. Provide two professional (health care-related) references. References from personal friends or relatives are not accepted. List references and contact information on application. Schedule a visit – email admissions@hesston.edu or call the Admissions Office at 620-327-4221. Admission files are reviewed and candidates accepted to the RN to BSN program on an ongoing basis as space is available. All applicants are encouraged to complete admissions file materials as early as possible, and no later than October 1. Files completed after October 1 will be reviewed for space-available admission or ranked and placed on a waiting list. Date of application and date of admissions file completion. Applicant’s interactions and communication skills throughout the application process which reflect potential for success in the nursing program and ability to contribute to the shared life of the campus community (social character). All applicants on the waiting list will be selected for an opening according to the selection criteria. All selected and non-selected applicants who complete their admissions files will be notified in writing by the Hesston College Nursing Department. Any applicant placed on a waiting list for an available position will also be notified of this status. 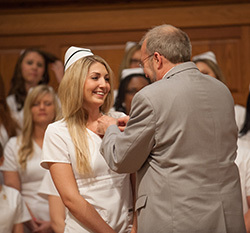 The mission of the Hesston College nursing program is to serve the current and future health care needs of clients, families and communities by facilitating within students the development of clinical judgment and a passion to serve others through a holistic, comprehensive approach to client-centered care. 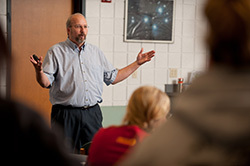 Hesston College faculty members provide instruction in the classroom, laboratory and clinical settings, and also serve as academic advisors. 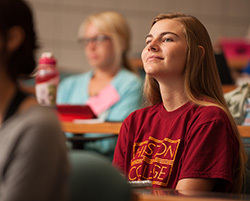 Maintaining a culture of caring and respect and nurturing positive relationships with students is central to the achievement of the Hesston College mission. Hesston College has been approved to offer a baccalaureate nursing program through The Higher Learning Commission. The baccalaureate degree in nursing program at Hesston College is accredited by the Commission on Collegiate Nursing Education (CCNE).